The Methodist Church is the 4th largest Christian denomination in the UK. In October 2013 the Church had 208,738 members in around 4,800 churches. Calvert Methodist Church is part of the Hastings, Bexhill and Rye Circuit and was named after the Rev. James Calvert. It has seen many changes since its inaugeration in 1881. The original tin church that stood on the site lasted until 1890, when it was replaced by the current building. 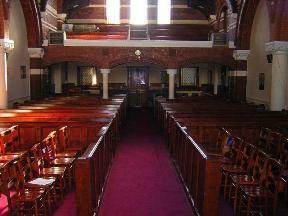 It has since seen 3 major renovations, the first in 1953 when the church was divided and a new large hall was created. 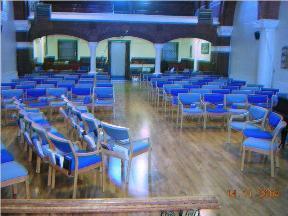 The next marked the 100th anniversary in 1981 and more recently in 2003 – 2004 work was undertaken to replace the pews with chairs, redo the sanctuary floor, replace tired and worn carpets, install new lighting and update to meet current fire safety standards. Also work was undertaken to provide disabled access and facilities. The chairs have since been updated again.